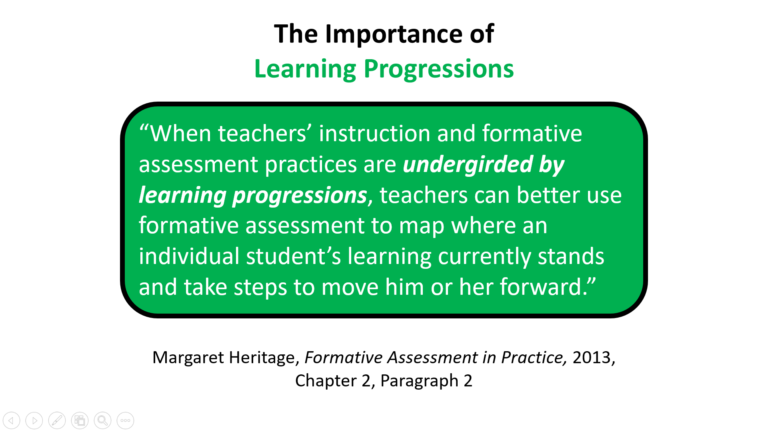 Formative Assessment: Is it still flourishing as it was in recent years? My position is yes, it still is, but only if and when certain key factors are in place. And the first factor is the clear understanding of formative assessment’s chief purpose and function. 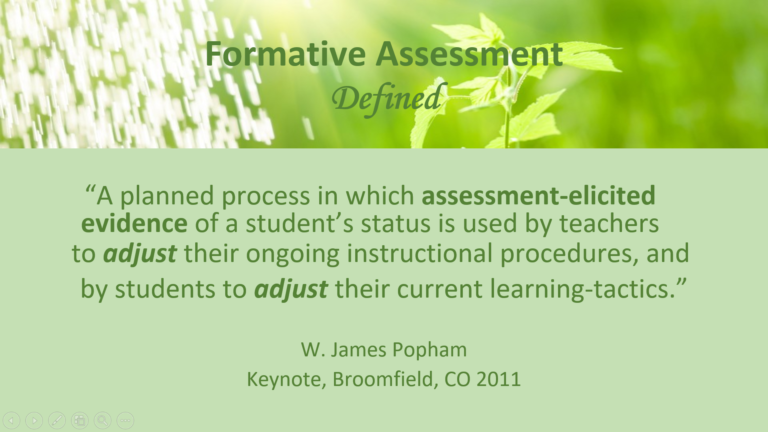 Because we are talking here about formative assessment, that adjective clearly indicates that the assessment is taking place while students are in the process of learning. Formative assessment evaluates a student’s current understanding or ability before, during, and after instruction. But that’s only part of it. The assessor and the assessed then need to do something with the results. If they don’t, this but adds further grist to the mill of popular opinion that as a nation, we are “over-testing and under-assessing” our students. Some would say that in many U.S. schools today, there is a clarity problem. Others would go so far as to call it a clarity “crisis.” Teachers, and as a result, their students, are not crystal clear about what the learning outcomes are. Consequently, instruction is not as focused as it should be, and student learning is not as intentional as it could be. Ask students what they’re learning, and most likely they will tell you what they’re doing. They confuse the context for learning (the means) with the learning itself (the end). The book, the project, the experiment, the activity—these are the means to the end, not the end itself. 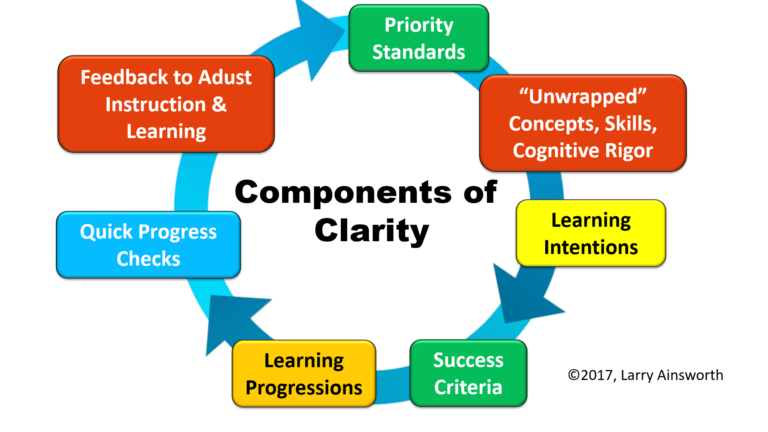 Professor John Hattie’s research (Visible Learning, 2009) has shown teacher clarity to approximate a 0.75 effect size, meaning it has the potential of boosting student learning to the equivalent of nearly two years of growth in one academic school year. Feedback: Use of the formative assessment results–the evidence of learning–to inform and adjust teaching and student learning tactics or strategies. Feedback provides evidence of learning, but if the evidence is faulty, the inferences teachers make will also be flawed. That is why quality assessment design is so critical. Margaret Heritage wrote: “Without quality evidence, teachers may not be able to take the right kind of action that will lead to positive consequences for learning.” (Formative Assessment: Making It Happen in the Classroom, 2010). Teachers and students using formative assessment results to make needed adjustments is both timely and timeless. This is why I’m of the opinion that formative assessment is as important today as it ever was (timely) and will continue to be so (timeless)—as long as it’s part of an integrated system that provides CLARITY to both teacher and student. 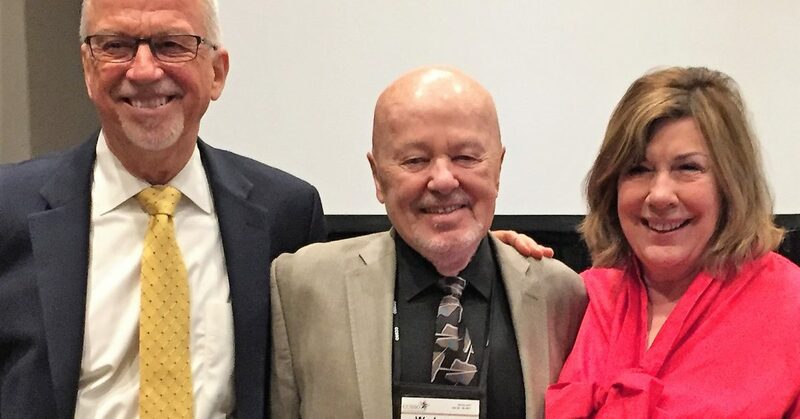 Where Is Formative Assessment Flourishing? 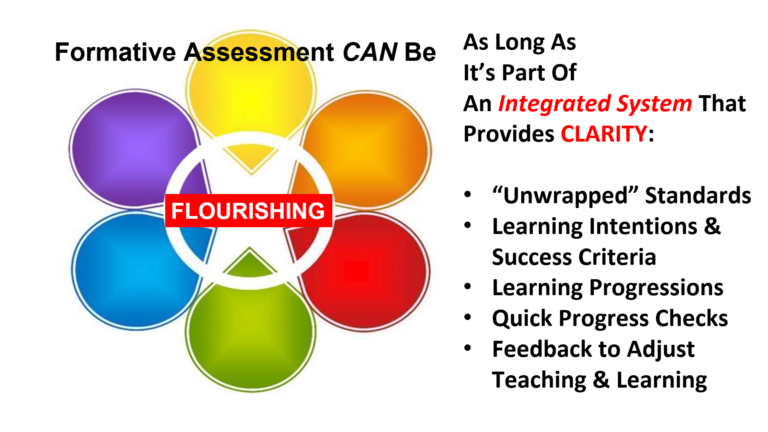 In next week’s post, I’ll share key factors needed in order for formative assessment to flourish, and showcase one large school district in Illinois that is reaping impressive results by the continued implementation of formative assessment as a system founded on clarity.